Women in Serbia are still in a subordinated position in regard to men in all fields of life, says The Commissioner for Protection of Equality in Serbia in a Regular Annual Report for 2017. Discrimination is especially noticeable in the labor market, in participation public decision-making, in the economic sphere, in education and in gender based violence towards women. Unemployment rate of women in Serbia is 14.7 percent lower than the unemployment rate of men. Also, women on average earn less than their counterparts, and they are more likely to be entrepreneurs. Also, older women, lesbians, women who are religious or classified as national minorities and etc., are in a greater danger of discrimination. Hence, all mentioned data demonstrates that women in Serbia had to face discrimination and intentional marginalization. The question is, what is the role of the media in that? 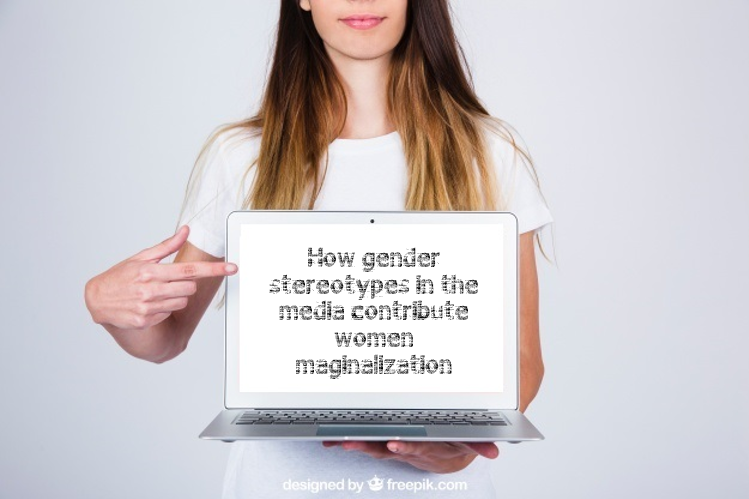 With media analysis we conclude who makes media content, or to whom has been given the opportunity to transmit their values, stereotypes and prejudices. Cultural studies see media as a tool to strengthen ideologies in society by representing them as a natural state of things. In that way, with the discourse media analysis, it is possible to discover what kind of beliefs are presented as the right way of thinking, or to spell it out, in what the messenger wanted to convince us. Novi Sad School of Journalism had conducted a media discourse analysis on nine different, most popular, media in Serbia. We investigated on how different groups who are in risk of discrimination are represented in the media, including women. The results are pessimistic – in almost every analyzed media, it is possible to find discriminating or at least stereotyping manner of reporting about women. Women in the media are represented as objects. Media are commenting on their appearance, how they dress, how much make-up they put on their face, are they young or ’old’. In that way women face disqualification and further marginalization. That is very obvious when media reports about women politicians and in that way they draw attention from the public perception of the work they have done. Also, it has been noticed that women in the media are often excluded as subjects of media reports. Novi Sad School of journalism’s analysis pointed out that women had a chance to say something only in 25 percent of analyzed reports. Women too often talk about topics which are considered as ’girl talk’, and they are quoted usually when they are witnesses and when they talk about their experience. Media representation of a women is not much different than the reality of women in Serbia. If we take into account mentioned data of the Commissioner for Protection of Equality in Serbia and the Novi Sad School of Journalism research, it is possible to establish that media reporting is leaning into subordinated way of life of a women in Serbian society, and that they don’t do anything to emancipate women and to improve their status. Quoted results originate from discourse media analysis within project ’’Tolerant media for tolerant society’’ which was realized by Novi Sad School of Journalism with the support of the Czech Republic’s Official Transition Promotion Program.